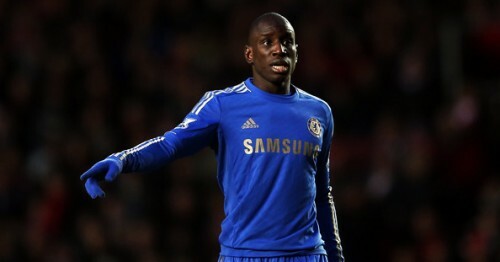 Amid strong rumors that returning Chelsea manager Jose Mourinho is in the market for a big name striker signing, January signing Demba Ba insists he’ll be staying at Stamford Bridge. Much has been said of Ba’s future at the club, with many reports linking the former Newcastle striker with a move to Napoli this summer, but following a successful preseason campaign with the Blues the Senegalese international says he’s ready for increased competition. “I will stay. I think we need competition and we welcome the best players in this club,” Ba said during the club’s preseason tour of Asia, according to Sky Sports. “More competition is going to make me better anyway. All players want to play, not only centre forwards. Ba is one of three notable strikers in Mourinho’s side, with the struggling Fernando Torres and loan returnee Romelu Lukaku also in the ranks. Torres has been a major disappointment since signing for the former Premier League champions in a £50 million deal from Liverpool, prompting the club to bring in a proven Premier League goalscorer in Ba back in January. Ba, however, is yet to replicate his Newcastle form at Stamford Bridge, sparking mass rumors regarding a potential Wayne Rooney transfer move. Nevertheless, with Lukaku and Ba both on form this summer, Mourinho will surely feel confident with the strikers he has at his disposal. In Lukaku the Blues have one of the most exciting young strikers in all of Europe, and in Ba and Torres they have two of the Premier League’s most proven goalscorers in recent seasons. Now, it’s just up to the Special One to earn his title and help his two struggling strikers recapture their best form. Can Ba and Torres fire Chelsea to glory? Have your say below! yes Ba an Torres can fire chelsea to glory.